Hey everyone. 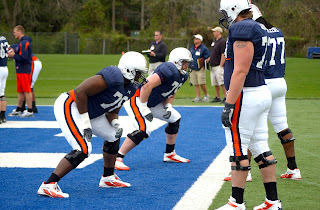 As discussed earlier in the week, I missed Auburn's first official spring scrimmage today. Sorry about that. It happens. Charles Goldberg reported that Cam Newton took more snaps than any other quarterback today. I consider that significant. He apparently connected on one touchdown and was responsible for a fumble. Andy Bitter of War Eagle Extra says Philip Pierre-Louis took advantage of an opportunity to make plays ... only to see his day end with another knee injury. The severity of that injury remains unknown. Fellow wideout Travante Stallworth tweeted: "Prayn for my boy." 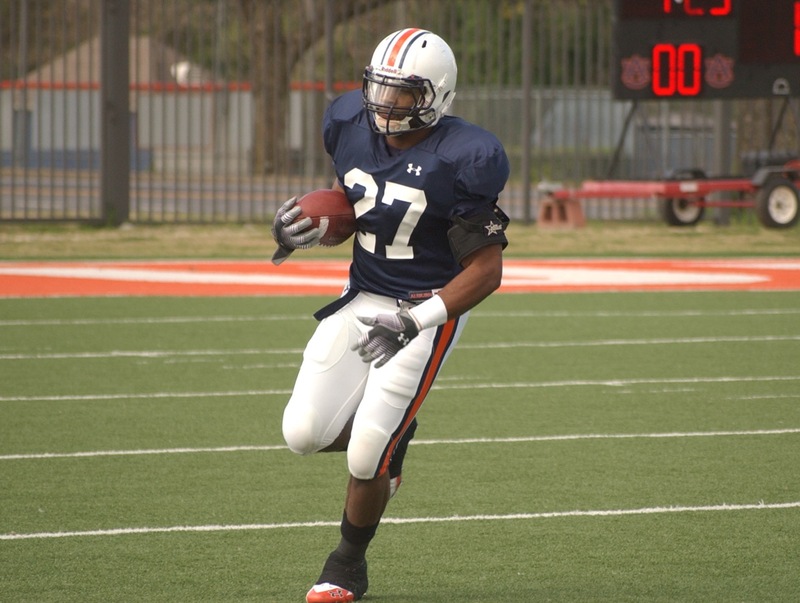 The O-A News reported that Auburn High graduate John Sullen filled in at first-team guard because Bart Eddins missed the scrimmage with a knee injury. 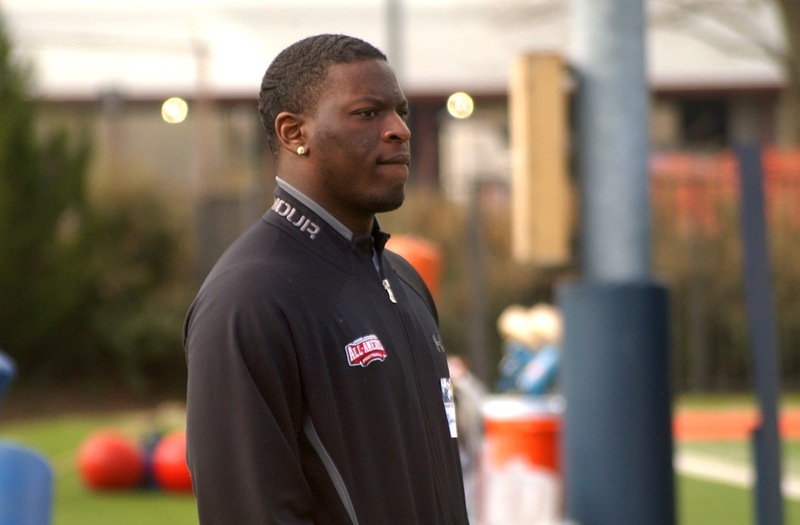 Asked about Eddins' health on Friday, coach Gene Chizik said: ``There’s no problems there." Multiple outlets reported that assistant coach Trooper Taylor was ecstatic about how the Tigers' wideouts performed on Saturday. He praised everyone's blocking effort and said there were no drops. Emory Blake caught a touchdown pass. DT Mike Blanc said his father, who lives in Haiti, wasn't able to communicate with his family here in the states for a good while after the earthquake there on Jan. 12. Mike said it was chaos down there. His father is fine now, though, living with an aunt and aiming to make a jump to Bahamas. Port-au-Prince, the Haitian capital, is basically toast. The Blancs have family in Bahamas, so that may become their new place. Mike Blanc was born in south Florida and his mother lives there now. We received differing reports on S Mike McNeil's health today. Coach Gene Chizik said, of course, that McNeil is basically 100 percent. Assistant coach Tommy Thigpen said McNeil often performs well during the first half of practices, but begins limping during the second half. It's apparent to me that McNeil remains a work in progress physically. McNeil suffered a compound fracture of his left leg almost exactly one year ago. 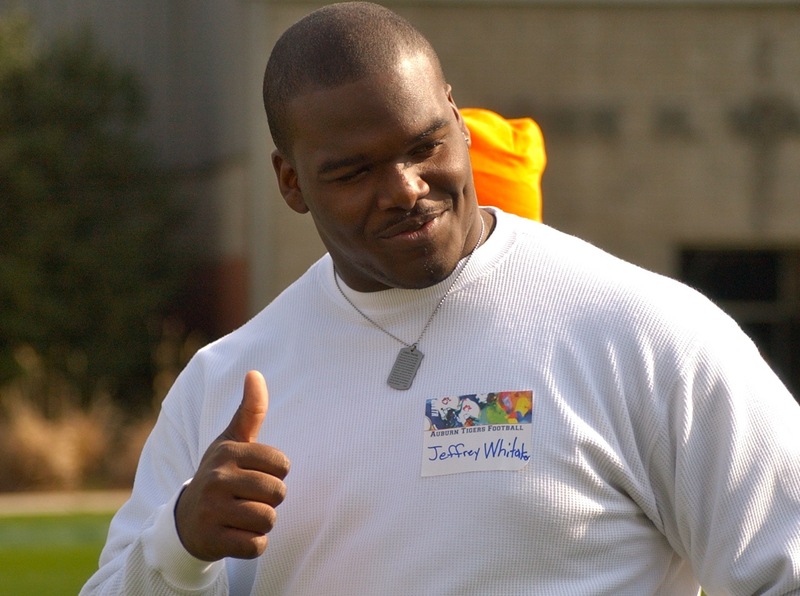 Coaches are hopeful he will re-emerge as a starter in time for the 2010 season. Thigpen seemed higher on fellow S Aairon Savage, whom he praised for showing a "burst" of acceleration that hadn't been there before. Savage is attempting a comeback after losing two seasons to torn knee ligaments. Emory Blake said it's important for him to finish the spring as the No. 3 receiver -- or in an even bigger role. ``You want the coaches to be thinking about you." Auburn will scrimmage on Saturday. Chizik is bringing in officials to create authenticity. WR Darvin Adams didn't have much to say. 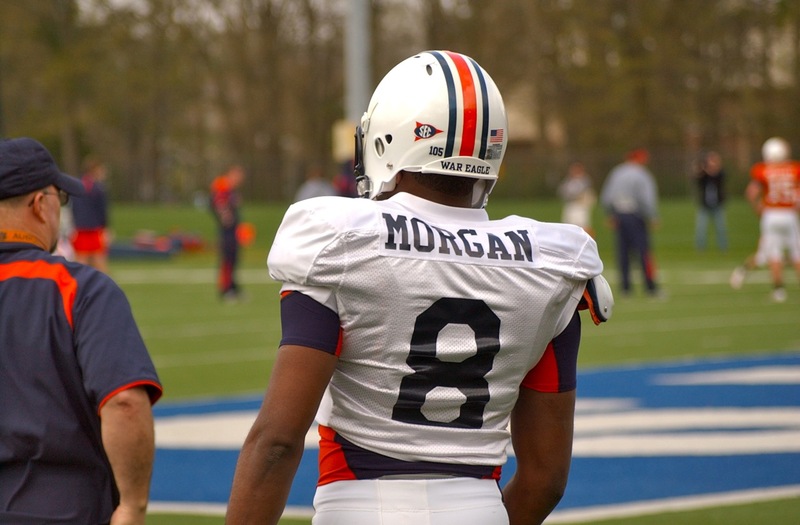 He's looking to build on what was a strong 2009, though he wasn't named to the All-SEC team. Adams said the snub doesn't bother him anymore. Hey everyone. Good morning. I will be heading to Auburn in a bit for the team's sixth spring practice. Reporters are not permitted inside the practice gates this time, but we'll be talking with people afterward. Please come back and see what is said. Also, the annual Auburn-Alabama baseball series begins tonight. This first game will be televised live by CSS ... if you're lucky enough to have it. I am no. Saturday and Sunday's game will not be televised. Hey everyone. Here is Auburn's current array of football scholarships. Just thought you might like to see how they're allocating spots. Hey everyone. Freshman linebacker Jessel Curry just stopped by for a short chat. 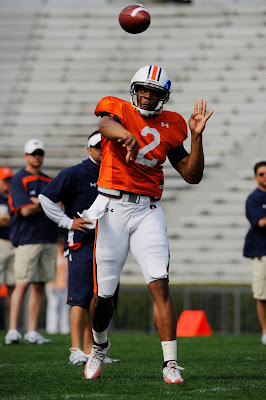 He graduated from high school a semester early, enrolled at Auburn in January and is going through spring practice right now. 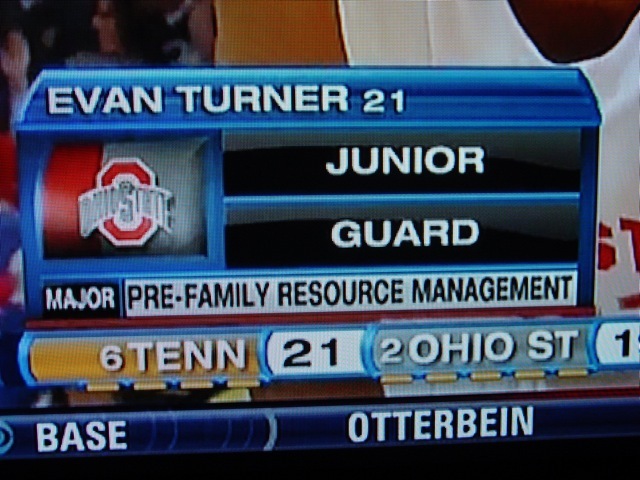 Not too shabby for a 17-year-old kid, no? He said the toughest part of the transition is learning what Ted Roof wants him to do. Curry said everything he was taught in high school is "the exact opposite" of what Auburn requires of its linebackers. Asked to elaborate, Curry said Auburn's defense emphasizes leverage ... or funneling runners toward the middle of the field. In high school, he played the see-ball-hit-ball game. 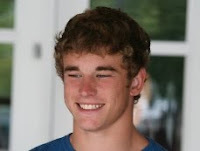 He has no regrets about missing the second semester of his senior season. "I’ve never been to a prom or homecoming, so I wouldn’t even want to goback. That’d be a waste of money to me." He's playing on the strong side behind Eltoro Freeman. He's named after his father and paternal grandfather, though he realizes very few people around here are named Jessel. He said a quick Facebook search showed that most Jessels live in the Phillippines. "I'm trying to put two and two together ... but I don't get it." Hey everyone. We are now 1/3 of the way through spring practice. Yay. Defensive coordinator Ted Roof was slow to discuss what has impressed him about S Mike McNeil. After a relatively long pause, Roof identified experience as McNeil's chief strength. That seems like a bad sign for McNeil's chances. Roof said Auburn's defensive struggles last season has motivated him on a personal level. Roof said he's happy with the way LB Eltoro Freeman has progressed since last season. Roof indicated that T'Sharvan Bell -- known around here exclusively as "Tee" Bell -- will stick at cornerback. 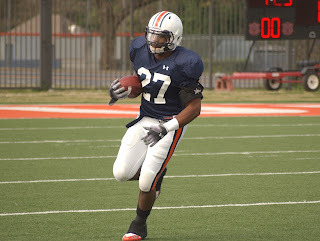 He played safety during his first two seasons at Auburn. Offensive coordinator Gus Malzahn said TB Mario Fannin has demonstrated "more focus" toward becoming an marquee tailback, though he also praised Onterio McCalebb. DE Nosa Eguae, who is playing behind Mike Goggans right now, said he missed last season because of a stress fracture in his left foot. The injury didn't require surgery, but it caused enough discomfort to force a redshirt season. He didn't make the official decision, he said, until the LSU game. He tried to run without his immobilization boot and ... it didn't go well. Eguae said he's only gained five pounds or so since his arrival last summer -- he's listed at 245 -- but he said his weight has been re-distributed to his satisfaction. DE Dee Ford is happy to be here. He's been trying to gain weight, which has left him feeling "bloated" a lot. And they make fun of Auburn's academics? "Students of this major learn to plan and manage money and other financial resources. Classes cover such topics as setting financial goals, creating and managing budgets, and avoiding and solving financial problems." Keep in mind ... he's not even IN the major yet. He's laying the academic foundation to eventually delve deeper into the complex world of fundamental budgets, learning how to make change, how to use a bus card, how to buy groceries. I'm sure he'll get there someday. Forget for a moment that he's a second-semester junior. OK. It's good to have a diversion sometimes. I'll have a practice report up around noon. Hey everyone. So Auburn has devised a fancy new name for coach Gene Chizik's summertime run through the alumni clubs. It's call Tiger Trek. They pay people hundreds of thousands of dollars to come up with this stuff. 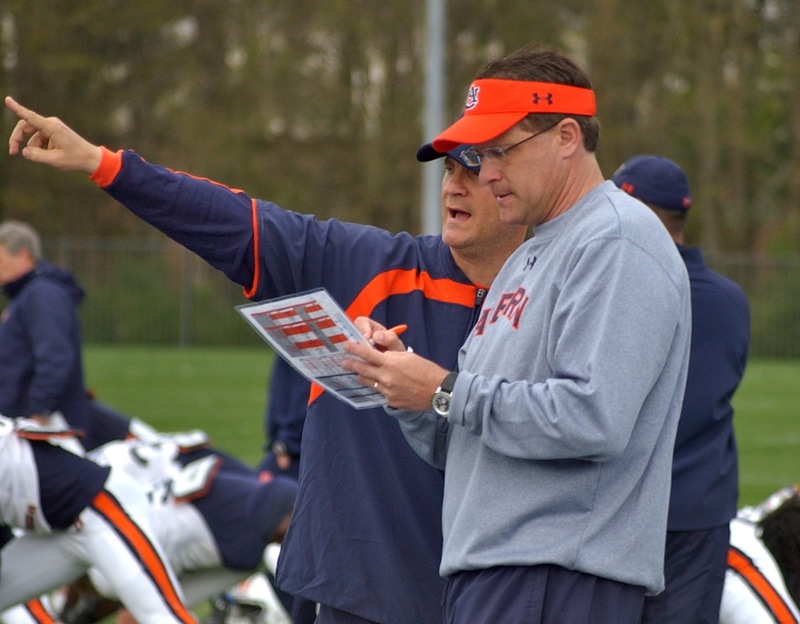 Anyway, odds are that Chizik will be somewhere near you this summer. Hey everyone. Auburn's new basketball coach, Tony Barbee, said he will do what it takes to energize the student body and surrounding community. He has made the first step. Barbee sent the following email to students today. Thanks to wellsAU for the tip! As your new head basketball coach, I am thrilled about the opportunity to represent you and this great university at such an exciting time for Auburn basketball. When I accepted this job, I knew there would be challenges, but what struck me the most was the tremendous potential of this program with everything Auburn has to offer. The university, the community and the fan base are all top notch, and the new state-of-the-art Auburn Arena demonstrates a commitment to this program that will help us take Auburn basketball to new heights. 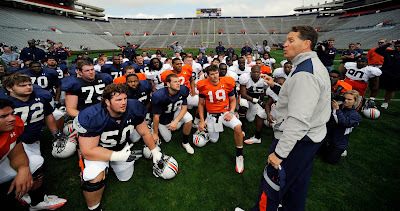 As your head coach, I promise to stay true to the Auburn Creed as I believe in work, hard work. 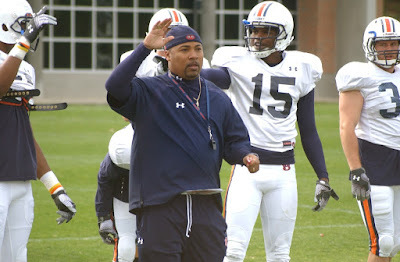 With that said, my staff and I will not be outworked as we bring the Auburn Family what they deserve. I will give my all in every aspect of the job, from recruiting and coaching to promoting the program. I will do everything in my power to produce a winning program and change the culture of Auburn basketball. I challenge you, the Auburn students, to create a real excitement around Auburn basketball. You are a part of the team, and I need you there at every game to make Auburn Arena the best home court advantage in the SEC. You are critical to our success, and there has not been a more significant period to turn this program around than now. The administration shares my feelings, as the design of Auburn Arena prioritizes the experience of the students. The Auburn Arena caters to students in every way and is designed to create an intimidating home court advantage. Very few students throughout the entire nation will enjoy the same amenities that this new arena will present to you. You will have your own private entrance to the arena, concourse area, restrooms and concession stand. As students, you will have the best seats in the building. The student section will surround three sides of the court on the floor level. You will have an effect on the game like never before, and our atmosphere will be contingent on you. With your help, I truly believe we can have a great basketball atmosphere. I know we can accomplish all of our goals together. I cannot express how excited I am to be your new coach. I look forward to the next few months as we build enthusiasm for next season and beyond. Hey everyone. Turns out that DeKeishia Tunstall, Auburn signee Shon Coleman's mother, is an insanely nice and ebullient lady. She's very appreciative of all the well wishes, texts, Facebook messages and the like. If any of you all did that, I think you made her day. Well ... you made her day better. Shon is home. He's had 4 days of chemotherapy and it hasn't slowed him one bit. It is truly amazing. When Shon entered the hospital last Thursday, he was admitted because the white cell count in his blood was dangerously high. His organs were in danger. Today, zero cells in his blood. His white cell counts are now back within the high side of normal. Please continue to pray for us. b.) 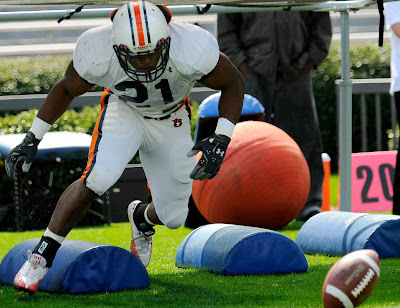 He was injured during Auburn's Saturday workout. Hey everyone. The Tigers have ended their 2-hour practice. Here is what we learned. 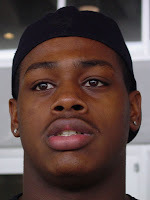 Signee Shon Coleman, a highly rated offensive tackle, has been diagnosed with an unusual medical condition. It is treatable. Research suggests >80% of people under the age of 25 diagnosed with the condition are cured. Coach Gene Chizik acknowledged that Coleman is dealing with a "medical issue" and that he's been in contact with Coleman. It's unclear how this situation will affect Coleman's career. 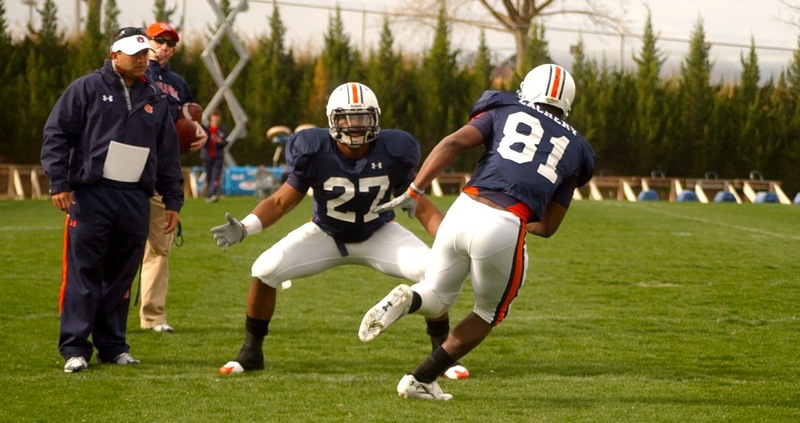 Recall that this could be the third consecutive year that an Auburn signee has been sidelined with a non-football issue ... DE Andre Wadley in 2008 and OL Aubrey Phillips in 2009. Assistant coach Curtis Luper was quick to point out that Mario Fannin isn't yet the team's No. 1 tailback. He's simply competing for the job along with Onterio McCalebb and Dontae Aycock. Aycock missed practice today because he is ill.
Fannin said he still thinks about that South Florida game from 2007, which saw him lose two fumbles. He believes that was supposed to be his "break-out" game and that his career would have developed differently without the fumbles. Assistant coach Trooper Taylor said DeAngelo Benton has made significant progress since last season and now is exhibiting reliability previously demonstrated only by Darvin Adams and Terrell Zachery. Demond Washington seems content with his recent move back to cornerback. His speed, size and lateral quickness seem to be a better play at that position. The Tallassee native moonlighted at safety in 2009 because of injuries and depth problems. Hey everyone. Auburn is practicing right now. Here's what's happening. TE Phillip Lutzenkirchen didn't participate in practice today. Not sure what's going on with him. Signees LaDarius Owens (linebacker) and Jeffrey Whitaker (defensive tackle) attended practice today. They were just checking out the drills. "I can't wait to get up here in May," Owens said. The main punt-return guys today were Mario Fannin, Eric Smith and Philip Pierre-Louis. Ryan Shoemaker was booming spiral punts like mad. He looked good. Chizik and Gus Malzahn mapping out the day's offensive schedule. LaDarius Owens, a 2010 signee, stopped by to watch practice. He said today is a teacher work day at school, so his family came down to visit his uncle ... former Auburn standout James Owens. Another signee, Jeffrey Whitaker, also rolled into town for a short visit. Roszell Gayden and Brandon Mosley, crouching, get some pre-practice instruction from assistant coach Jeff Grimes. Terrell Zachery returns a punt while Mario Fannin provides some token pressure. Proof that Anthony Gulley now is Anthony Morgan. 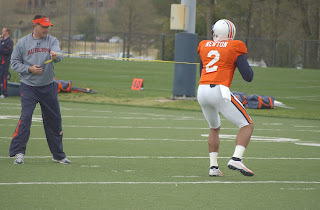 Cam Newton participating in Malzahn's ball-security drill. ... and here's your host, Dennis Miller. Hey everyone. 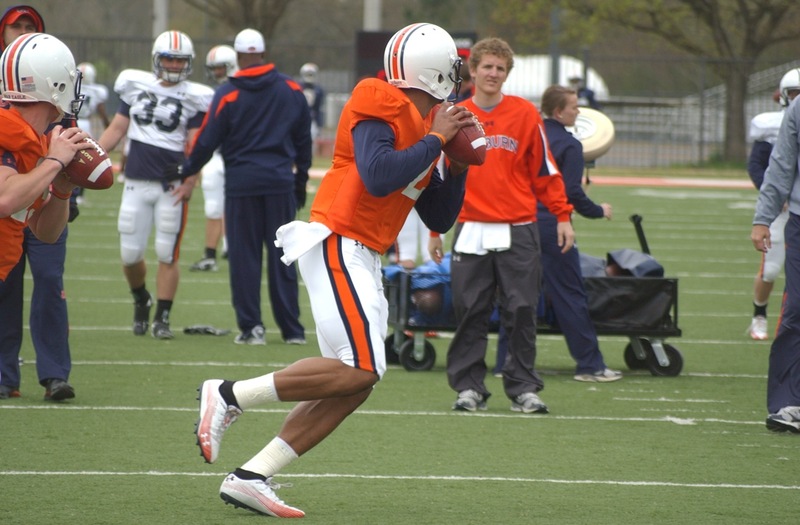 It's been a pretty busy weekend for Auburn athletics, though I sat out Saturday's action. I didn't feel well. It happens sometimes. So what's going on? I'll tell you. 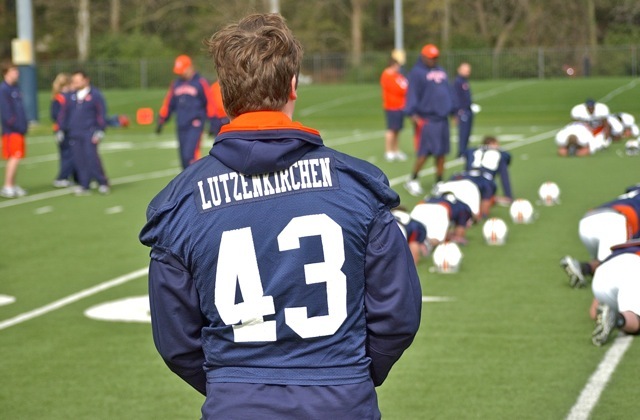 FOOTBALL -- The team held a two-hour workout inside Jordan-Hare Stadium on Saturday morning. Some 11-on-11 stuff was included. They were moving at "thud tempo," which means players collide but do not tackle. I didn't hear about anything super exciting. Safety Mike McNeil was back on the field doing real work for the first time in a year. I'm glad he'll get a second chance. BASEBALL -- My friend Phillip Marshall wrote yesterday that today's Auburn-South Carolina game is the program's biggest in a while. While I probably disagree with that idea -- we're five games into a 30-game SEC season -- it's important to note that Auburn lost on Friday and Saturday. Another loss on Sunday all but eliminates meaning behind the team's sweep in Athens last weekend. Cole Nelson pitched exquisitely against the Gamecocks on Saturday and his teammates scored ... zero runs. Nice. UPDATE: Auburn won the game, 10-6. SWIMMING AND DIVING -- Auburn, the defending NCAA titlists, began the day in sixth place at the championship meet. A jump to No. 1 would require a miracle. So it goes. EQUESTRIAN: Auburn, ranked No. 2, beat top-ranked Georgia on Saturday to win the Southern Equestrian Championships. The event was held at the Auburn Equestrian Center. The Tigers now have beaten Georgia twice this season and improved to 14-3 overall.